Hawthorn had just tucked into an egg. He had rapped it twice with a butterknife, peeled back the top, and ladled out a goey teaspoonful. Slowly, he daubed the yolk on some toast, peppered it, brought it to his mouth. Hawthorn reluctantly lifted his eyes from the toast. Across the cafe, a beaming, curly-topped man in a vest waved. He pushed around some tables, pulled a rather opulent woman in tow. Her heavy lashes squinted in a perpetual smile, kept close to her excited companion. "Wallace," said Hawthorn, watching as his friend pulled up a pair of chairs. "Good morning." "Good morning!" enthused Piedmont. "May I introduce Master Bristol Dantille, of Sorelle?" "Hello," said Dantille, still looking at Piedmont. Briefly, Hawthorn smiled. "Charmed," he offered. Before he could lift the toast, Piedmont spoke again. "We met yesterday at the summit. Got to talking about the fertility idolatry of the Ancient Idrans. Turns out we share an awful lot of interests." "Like Wallace's excellent treatise on aphrodisiacs described in the Derrol Scrolls," said Dantille. "Oh, yes. I do recall," murmured Hawthorn, trying again for a bite. Piedmont slapped him on the shoulder. "She's an anthropologist, Duane, like you. I'm shocked you've not met." Lips pursed, Hawthorn put the toast down. "Well, our circles aren't so sma..." He trailed off, having focused on Dantille. She met his gaze, still smiling. Hawthorn frowned. "I see. I do believe we've met." The woman tilted her head at Hawthorn. "I've only heard the beginning of the adventures you and Wallace have had. Fantastic. Is it true you've swam the Waterglades of Solfelina?" "And charted the most reliable route to the Dark Continent?" "With forty percent accuracy, yes." Dantille's smile shifted for only a moment. "And the stories of Wallace and ælves? Is it true one lives in his garden?" Softly, Hawthorn plucked up his toast, took a bite. He chewed, slow, kept his eyes on Dantille. Piedmont flicked his eyes at both of them, confused. Hawthorn swallowed, dabbed his lips with a lace napkin. "I'm sure you'd know as much as I, Bristol." There was a spot of silence. Piedmont looked pained, played with a menu, tried for words. Suddenly, Dantille resumed her squint-eyed smile, stood. "Wallace, dear, I'm going to head to the event early. Thank you for introducing me to your friend." "Oh, of course." Piedmont stood, smiled at the anthropologist, watched her go. As soon as she disappeared round the floral-inlaid door jamb, Hawthorn spoke. Piedmont looked aghast. "Duane, please. She is interested in my work." Waving his toast, Hawthorn nudged his chin towards the door. "That's no sycophant. She's an agent." Hawthorn looked about, leaned in. "The Office of Secrets, of course." "Messieurs, do not be alarmed," said a man in green, palms raised. "But I have just been informed there is an assassin within the premises." A titter of gasps rose from the assembled guests. All eyes turned to the green man. He made a show at a consoling smile, clasped his hands. Behind him, a fire crackled in an ornate marble hearth. The flickering backlight deepened his gaunt cheeks. "I am assured by the Guard Captain, however, that we and Admiral Bantera," he said, gesturing to a stuffy, furry man in uniform "shall remain quite safe. If there is a killer in the Winter Palace, they will be found." Bantera ruffled his moustache. "Samore is correct. My home's security represents the epitome of modern defense. Rest assured." A guest beside the Admiral wrinkled her painted brow, raised a hand. "Which of us could possibly be the target? I, for one, have no enemies," she proclaimed in an Alagórian burr. Another murmur of worry. Many began discussing their likely enemies and grievances. One man fanned his face, leaned on a mahogany bookcase. Someone wept. Samore dipped his head. The corner of his mouth twitched. "Alas, the target could only be the Admiral himself. No one of us is so influential." The Admiral nodded, grim. "But who would want you dead?" said the woman, brow still knitted. "Likely the dastardly Firls, dear Avesol," said the Admiral. He patted her shoulder with a hairy hand. "Their dreadful Office of Secrets." Someone piped up from the back of the room. "Surely, no assassin could attempt anything, so long as we are together?" Samore attempted to respond but was drowned out. "You speak as though the killer is among us, in this very room!" exclaimed Avesol. "Mayhaps he is," said Samore, raising a hand to quell the nervous company. His lip twitched. "For that reason, we must remain here for the time being." "But who could it be?" said the man in the back. There was a hiccup. "Certainly not me," said a mouse on a chaise lounge. "I am too drunk." Some nervous laughter filled the space, faded, died. The guests looked about, avoided gazes, shifted about. "I'm sure none of us is going to point fingers, Monsieur Chétif," said Samore, waving a hand. There was a sharp harumph. "Oh, do you suppose we shall not, Sam?" said Avesol. "Are you afraid we shall suggest you, with your Firlish accent? Your nervous tics?" A mild uproar sounded. Fingers pointed. "Please," said Samore, raising his palms. His mouth twitched in rapid succession. "Move away from the Admiral!" someone demanded. Samore raised his hands, babbled. "This is ridiculous. I am the Admiral's friend!" "Greedy Firls are easily bought off," sneered Avesol. The company roared in outraged approval. They began pulling the green-clad man toward the door. The Admiral just watched, furry lips agape. In little time, Samore's cries disappeared, ferried away by the mob. Only Bantera and Avesol were left. "My Lord," mumbled Bantera, pinching his nose. "How could it be my old Sam? Bought by the Office to betray me?" he quavered. Avesol stepped close, shaking her head. She placed a small hand on the man's shoulder. "Who can know, Admiral?" she queried. Her voice shifted, lost its burr, became short and soft in the vowels. "One must beware those dastardly Firls." The assassin's stiletto slipped, cold, into Admiral Bantera's heart. The Firlish government is divided into a number of ministries and offices. Among them are the Office of the Exchequer, the Commonwealth Office, the Postmaster's Office, and the Office of Small Matters. * These domestic departments work quite clearly and tamely within the borders of the Crown's Empire. There exists a singular department, however, whose work is by no means limited to the obvious or the domestic. It is the Office of Secrets: The Crown's legendary stable of spies. Somewhere in Fortenshire's Capitol Park, there is a little old door. It's set in a retaining wall somewhere near the swan pond, just under an old watchtower. It has a small knocker, but no knob. It rather needs a new coat of paint. Bolted to the wall beside is a brass plaque. It reads Office of Secrets. No one goes in or out. 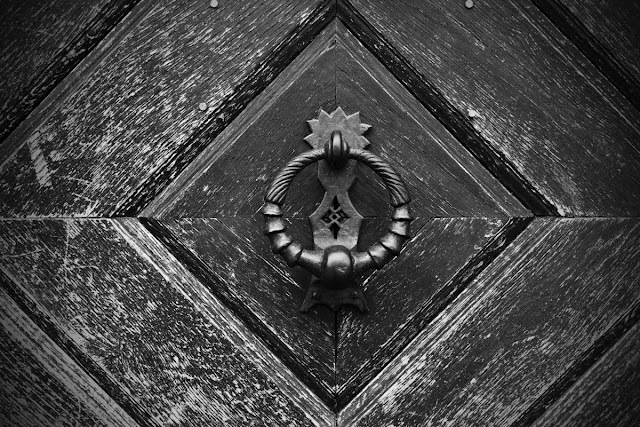 *** Children sometimes have a go at the knocker, just to see if a special agent will open up. Really, most people ignore the door. They assume it's there as a formality, that all government buildings are required to have an address. Many will tell you there's naught but dirt behind the door. It's set in a retaining wall, after all. Many don't believe there's an Office of Secrets, at all. They're wrong. There is an Office of Secrets. It's agents have simply got very little to do in their native country. While Firlund hasn't been to war with or invaded a Litoran† nation in over 200 years, they have by no means withdrawn from foreign borders. Within the strata of the Coast are embedded the thin knives and listening ears of the Office. If one begins to listen to rumors, they will hear of spies in the Belvirinian court, the Church of Aveth, the coquelicot rings of the Isles. Few of these rumors are true, of course. The spies manufacture them by hand. Once a fearful person begins to consume the rumors, there is no forgetting them. The spectre of the Office presents itself everywhere. Any letter could be a packet of poison dust. Any knothole a listening ear. Any beautiful man or woman a careful plant, a charming assassin or exsanguinating leak. Only those with reason to fear are most vulnerable. While intelligence gathering and assassination are its agent's chiefest goals, the Office of Secrets' rumors are its most elegant weapon. They cultivate a terrible wound within the enemies of the Crown: Paranoia. In a continuing mission to detail the Coast, I will begin writing on various factions. The Office is the first. * Notably, it might be something of a scandal if a scholar under the Crown were fraternizing with ælves. ** Which is often tasked with items of inappropriate magnitude. *** Some do, actually, but only at unreasonable hours.